While forecasters are now predicting more wet weather on Saturday, upcoming storms aren’t expected to drop torrential rains this time around. Rainfall amounts should average between 1 to 2 inches, but some locations could see higher amounts, according to the Weather Channel. “It’s not a lot of additional rain, but after all that we’ve had, this is definitely what we don’t need,” weather service meteorologist Steve Rowley told Reuters. Georgetown County Administrator Sel Hemingway said Friday that the worst of the flooding may be over as U.S. Highways 17 and 701, previously closed by the floods, were able to reopen. 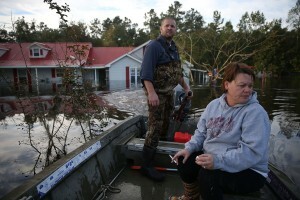 The floods have affected 17 of South Carolina’s 46 counties, which received disaster assistance on Thursday. U.S. Sen. Lindsey Graham estimated that cleanup costs could top $1 billion.